When it comes to getting a good night’s sleep, the struggle is real. With the stress of day-to-day life that’s fueled by caffeine and powered by devices that glow with a light that interferes with natural sleep patterns, it’s no wonder that people are sleeping less than they used to. In fact, according to the National Sleep Foundation, in 1998, 13% of Americans got less than 6 hours of sleep on average. But by 2009, that number jumped to 20% and the trend shows no sign of reversing. Fortunately, there’s a common and delicious fruit that can help you get your zzz’s: the cherry. Many cherry varieties contain melatonin and increase the availability of tryptophan, an essential amino acid which is a key ingredient in making serotonin: a brain chemical that promotes feelings of calm, relaxation, and sleepiness. That’s why cherries help you fall asleep and stay asleep. In a double-blind pilot study published in the Journal of Medicinal Food, a group of researchers from the Sleep & Neurophysiology Research Laboratory at the University of Rochester Medical Center found that fresh tart cherry juice, consumed twice daily, reduced insomnia in elderly participants. They also found that drinking cherry juice helped participants fall asleep 17 minutes earlier than usual! It’s not just cherry juice that helps. Another study by a group of Spanish researchers found that when middle-aged and elderly participants ate about a cup of cherries at lunch and dinner for three consecutive days, they were able to sleep longer with fewer awakenings. While it’s a myth that you shouldn’t eat after 6 p.m., you shouldn’t overdo it either. Stuffing yourself right before bed could leave you lying awake with heartburn or an uncomfortably full belly. Instead, have something small and light before you call it a day, and one way to ensure you take it slow is to eat – you guessed it – cherries! Why? Because you simply CAN’T eat them fast. You need to take your time to carefully eat the fruit around the pit, and this gives your body the time it needs to recognize that it’s satiated. What Does Sleep Have to Do with Weight Loss? When you put it all together, by burning the midnight oil, you end up feeling extra hungry. A small snack just won’t cut it, so you end up overeating. And then your body can’t handle the blood sugar boost, so it all just turns to fat, which your body then struggles to burn. The solution is simple: eat cherries and get more sleep. Eat your cherries – but stop eating these 5 foods! National Sleep Foundation. One-Third of Americans Lose Sleep Over Economy 2009 March 2. Reviewed 2016 May 22. Cherry Marketing Institute. Study: Tart Cherry Juice Increases Sleep Time In Adults With Insomnia. Apr 28, 2014. Reviewed 2016 May 22. Pigeon, Wilfred R., et al. Effects of a tart cherry juice beverage on the sleep of older adults with insomnia: a pilot study.” Journal of medicinal food 13.3 (2010): 579-583. Garrido, María, et al. “Jerte Valley cherry-enriched diets improve nocturnal rest and increase 6-sulfatoxymelatonin and total antioxidant capacity in the urine of middle-aged and elderly humans.” The Journals of Gerontology Series A: Biological Sciences and Medical Sciences 65.9 (2010): 909-914. Thank you very much for the wonderful article. I love cherries. I am also new to this program. I love how versatile it is. Hi, Tracey. Absolutely! Each 1/2 cup (120 ml) would equal a fruit exchange. I’m 76 years old – looking to become 76 years young. I think I’m about 30 lbs. over what I should be for my 5’1″ height (I’ve lost 2 inches over the years). I’m not into exercise but since I’ve retired, I’m not doing much at all and don’t have a lot of energy, as a result. So, I’m going to try this plan and see what happens. It says to eat cherries to help sleep but it doesn’t say how many, and if mmaking my own program how do I know how many protins and carbs I need? Hi, mzzpat. 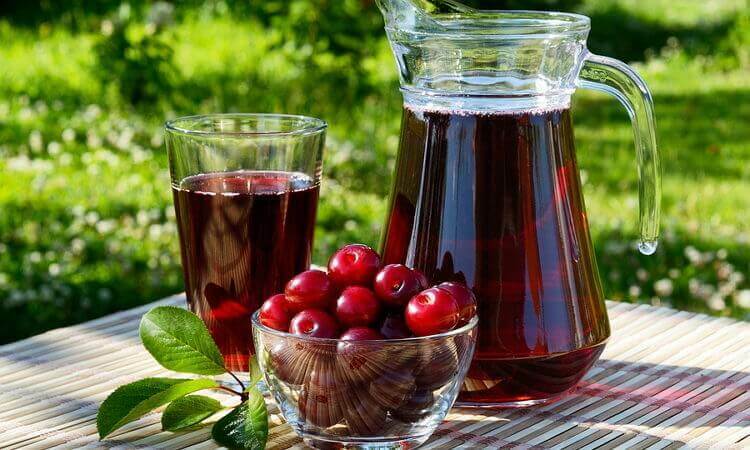 The research studies on cherries used the concentrated juice. If you have 1 cup (240 ml) of unsweetened pure juice, plus a source of protein (such as nuts) before bed, that may help. I just joined,however, I could never eat all that food listed. I find a lot of bread which I put on weight with eating it along with pasta. Are you sure this is correct. Hi, Smithcar09, and welcome. Despite there being breads and pastas in the menus, the overall carbohydrate content is quite low, about 45% of energy (compared to up to 70% in “regular” diets). If you feel it is too much food, you absolutely can cut the starchy carb servings in half, or substitute part of them altogether with protein foods or green vegtables. Do you have to Substitute the foods or can you just not eat that much? Hi, countryhearts. Carbohydrate foods (the starchy types) can be cut down without replacement – but still be careful not to eat so little overall that you end u on a deprivation diet. Hi all, I am 62 and have fibromyalgia for which I take many pills. I am going to start this plan this week. One question is about bread. I thought 100% wholemeal bread would be processed! Are we really allowed to eat it? It really looks an encouraging eating plan. Here I go………. Hi, Sean. There are some 100% wholemeal breads that are processed, and some that are not. If you get it from a bakery, or buy the sprouted type, it will be much less processed. Those types of breads are “allowed,” but of course in measured amounts – and we encourage you to pay attention to the way you feel when you eat it. If it doesn’t agree with you, then try leaving it out and seeing if it helps. Started this eating programme yesterday. There is a lot of food on this eating plan. I could not eat everything yesterday on the menu as full. I have started the menopause and have retired recently(hence the wait gain) . I didnt sleep very well last night. Have had the reccommended breakfast today but could not fit in the snack this morning. I must say Im not ready for lunch yet! Is everything on the menu meant to be eaten? Hi, Aberaeron, and welcome 🙂 Everything on the menu is meant to be eaten, but it’s great that you’re in tune with your fullness signals (and we wouldn’t want you to fight that). Since you are menopausal, it is best if you cut back on starchy carbohydrate foods, and instead favor protein and produce. If that doesn’t suit you, please do repost here, and I would be happy to work with you. Hi, I have Diabetes type 2 (not in control at the moment )but also have an ileostomy, and am not overly confident with computers…. can anyone out there give me any pointers ! I am desperate to lose weight…. I need a friend! Does the menu you generated here suit you? Hello, just joined and am from England. Am a bit confused by the U.s. measurements. Could you tell me what a ‘cup ‘equivalent is in British measurement weight (in particular, oatmeal, vegetable /potato) i.e I measure in either pounds/ounces or kilogrammes. Hi, suepip, and welcome. A cup is a volume measurement equal to 240 ml. Because vegetables vary in their weights, that may be the easiest route. In general, though, a cup of potato is about 200 grams, cooked oatmeal 240 grams. Hi , I’ve just joined and hope that I shall have a reasonable level of success . I suffer from several medical conditions and wonder if some of my medication is unhelpful in weight loss. My knee replacements , fallen arches and arthritis make exercise difficult . However , I’m not going to be unduly off- put and want to do whatever is possible to shed some weight and shape up . Have you any initial advice to give me about shedding the pounds with these particular problems ? Thank you … I am really looking forward to some success. Hi, Bethlehem, and welcome! Some medications can indeed present challenges to weight loss, but they are not insurmountable. If you could list yours for me here, I would be happy to help in whatever way I can. Hi, Patricia. Sure! Just use a healthy oil, such as olive or avocado, and don’t overdo. Just started plan. When it says 1 cup oatmeal does that mean one cup cooked or one cup raw ready to cook? Hi, Margaretsusan. Cooked – all starches in the menu are cooked, while proteins, non-starchy vegetables, and fruits are raw unless specifically noted otherwise. Hi, NeldaGDobbs. You can definitely have coffee. The trick is what you put in it – we recommend natural sweeteners like Stevia (nothing artificial, so no “diet” drinks) and whiteners like milk (dairy or vegan). Hi, Vonster. Yes, green tea with lemon is an excellent choice! We do recommend up to 4 cups or a liter per day if it has caffeine, and avoid refined or artificial sweeteners. Hi, fatfreeyouandme. You can definitely have coffee. The trick is what you put in it – we recommend natural sweeteners like Stevia (nothing artificial, so no “diet” drinks) and whiteners like milk (dairy or vegan). Hi just joined today I am looking for some guidence how best to start eating the right foods together such as protein and carbs ? Hi, Sally, and welcome! You can find that guidance in our “Main Program Guide,” and in th Menu Planner. In the foods lists, the foods in the lighter blues are the healthiest, and the application automatically combines carbohydrates with proteins (at a ratio of about 3 grams of carbohydrates to 1 gram each of protein and fat). Just starting….not a lot over weight but I need help adjusting to eating right now that my hubby is gone,I find myself munching and not cooking. Just joined trying to get my head around what is carbs and what is protein. Several foods can’t eat with diverticula bowel, anything doesn’t disintegrate when eaten corn, nuts etc. Also have diverticula bowel but if you chew everything very well and break it down with your teeth before swallowing, you will find you can eat nuts. I don’t eat corn because it takes much too long to get it all chewed up. Hi, Andy, and welcome. The entire program is based on principles for low sugar eating and healthy diabetes management. No worries! Is xylithol considered an artifical sweetener or is it as good for you as stevia is? I don’t like the taste of stevia but love xylitol. Xylitol is a natural sweetener, believed to be as good for you as Stevia. However, the body still sees some of it as carbs, so don’t overdo. You may find erythritol (also natural, but completely “free”) to be an easier alternative if you tend to use a lot of sweetener. Is there any time I can have wine? Hi, Wendy. Of course. If you use the personal version of the Menu Planner, you can select wine (in the “Carbohydrates” category) to go in your menu. Hi Ossie-Sharon – maybe I just missed this info somewhere on the site but my menu doesn’t include what to drink with each meal. There are a lot of options for meals but its interesting that these meals don’t include what to drink. I hate drinking water so I can’t imagine a glass of water with each meal x 6. What are your suggestions for drinks/juices to drink with these meals (breakfast, snack1, lunch, snack2, dinner, snack3)?? Hi, jam1. You can see that information in the FAQs below your menu. We’re not crazy about juices as beverages, but steeped waters with natural sweeteners like erythritol, Stevia, or inulin (http://www.netrition.com/cgi/goto.cgi?gid=9314&aid=4352) are great. See some recipes here – https://www.trimdownclub.com/how-to-make-detox-water/. Thanks. I’ll give it a shot! Hi Cathy, I also will give it a try. I have just joined and would like to know whether to eat ALL of the Breakfast/Lunch/Dinner menue that is recommended or just some ? Hi, Nanny Pinky. Yes, the intention is for you to eat everything in the menu. Hello, Barb. I just joined today, and I’m also 77. How have you done with this program? Hi, VJCOX. All vegetables are great – just be sure to prepare them healthfully (well-rinsed), raw or gently steamed or roasted; each cup or 240 ml raw is considered a standard serving size. Note that starchy vegetables (potato, yam, parsnip, corn, green peas, winter squash such as acorn and hubbard) are considered “carbs” by the body, and each standard serving is 1/2 cup (120 ml). As for beverages, you can definitely drink tea and coffee up to four cups a day, though, and be watchful of what you add to them – we recommend natural sweeteners and whiteners. I joined in Jan 2017 following the menu plan, I have lost a total of 20 lbs. Not quickly, but it is staying off, I also do water aeroics and exercise 4 x a week. I am now looking to lose another 20 lbs by the end of July. Slowly works best for me! I am 75 yrs. old. Best wishes on your weight loss. Congratulations to everyone making the efforts to improve their health! Everything presented in this program is phenomenal and spot on! To each and everyone of you….KEEP UP THE GREAT WORK, and embrace the “happy” you feel inside by taking care of your body. I just joined also and have great hopes of helping my diabetes. I’m 86 and eat mostly fruit (limited) and vegetables. My doctor wants me to drink 10 – 12 8 oz. glasses of water per day, not including juice or coffee. When the weather is hot, it’s quite easy, but that’s a lot of water! I saw this club online and thought I’d give it a try.I would like to lose at least 40lbs. Wish me luck. I just joined today I need to lose at least 30 lbs. 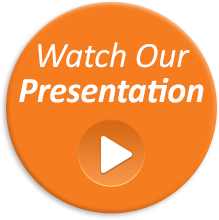 this program sounds great success to us all ! Hi Ossie, Thanks for the quick response. I have a lot (some would say too much) physical activity in my life; its got to be the food I’m eating that’s keeping this very stubborn 20 extra pounds on me. I try not to eat a lot of meat. Please give some examples of OK protein substitutes that you would recommend (besides eggs of course) I’ve had an egg every morning this week for breakfast and can’t look another one in the eye. PS Happy 4th of July from the USA! Hi, Cathy. I’m glad to read that you’re physically active. Protein sources other than eggs associated with healthy weight loss in scientific studies include nuts and dairy products (both good in the morning), as well as fish high in omega-3 fatty acids (such as salmon). I am an infant in this program (one week) but am so impressed by your steering people toward healthy chooses in all the articles, menus and recipes I’ve read so far. I have spent my whole life working in an organic fruit stand/health food industry and have learned more then I could possibly use in one lifetime. I so appreciate your using organically grown, whole foods and healthy alternatives. As the days go by I am hoping to do better on the menu meal planner. Are there any articles on the way this plan works so that when something spontaneous comes up for a meal I can make healthy choices without feeling like I’ve failed my given menu meal plan? Because so far I do pretty good with breakfast and then someone in my family or a friend comes over and I’m off and running with them at meal time and I can’t seem to get a handle on what it is I’m supposed to be putting together. I eat very healthy but always have 20 or so extra pounds hanging around that I can’t seem to shed (since menopause) is it OK to talk about such things on this sight. LOL! I LOVE anything sugar and have just recently been pretty successful about up-rooting it out of my diet and that is HUGE. I guess I didn’t want to admit how bad it was and what a handle it had on my diet in the past. Since taking it out (almost altogether) I have stopped gaining but have 20 pounds to go where I was before menopause. This all came as quite a shock since I have never had a problem with my weight before then – ever. In your advertisement you talked about ratios using carbs and proteins in certain combinations; can you explain this a little further? Thank you so much! Hi, Cathy. I’m glad to read that you’re off to a good start. Menopause can be a game-changer, but physical activity and increasing the proportion of proteins over carbohydrates (particularly “simple” types). The combinations themselves aren’t complicated – they should just be together. Additionally, it is often best if there aren’t more than 60 grams of carbohydrates at a single setting, which is how we’ve designed the menu patterns. I hope that helps. Is my 2th day and I can’t eat that much a day. Diner. Eggs, sandwich, some pasta or cereal. I love vegetables and I can’t eat sea food. Hi, Cynthia, and welcome! How long have you been eating the way you described? is that in response to weight struggles, or is that a life-long habit? I ask because a very small breakfast, especially one lacking in protein, can often set off a reaction in the body (especially in women over 40) that can push weight issues. I’m glad you have started using the personal version of the Menu Planner so that you can select the specific foods you like. You can certainly cut back a bit, but be careful not to cut back so much that your needs aren’t met and you risk rebound weight gain. I suggest to move some of the foods that are “too much” to the earlier part of the day, cutting the starchy carbohydrates in half. An example using your current Monday menu would include omitting the bread or having only one slice, omitting the crackers, or having just three (by the way, these are the tiny Japanese-type rice crackers or mini-ricecakes), and/or having just 2 ounces of pizza (which is about 1/8 of a 12-inch pizza – or make your own mini-pizza on an english muffin or small-medium tortilla, preferably whole grain). I have just joined .I’m not really sure what I’m meant to be doing. Can someone please give me some advice. Hi, Justine, and welcome. I would suggest to begin with our Quick Start Guide (available in “My Downloads” in the upper right corner), which outlines our basic principles (you can read even more about those in our Program Guide). Then perhaps you could try the Eight-Week Program, which can guide you through getting into the stream of things. So what exactly are the 5 foods to never eat ? I am a member, have watched the video and still do not know ! Hi, Vneumaier. The video discussed artificial or overprocessed versions of popular foods that should be healthy, but have been manipulated into being particularly harmful to your goals. Rather than giving up on them altogether, we encourage better versions in their original, natural forms. Note that the foods discussed in the video are only examples, and many other popular foods have been similarly affected—so it’s good to read labels, be aware of how a food is made, and choose whole foods as much as possible.